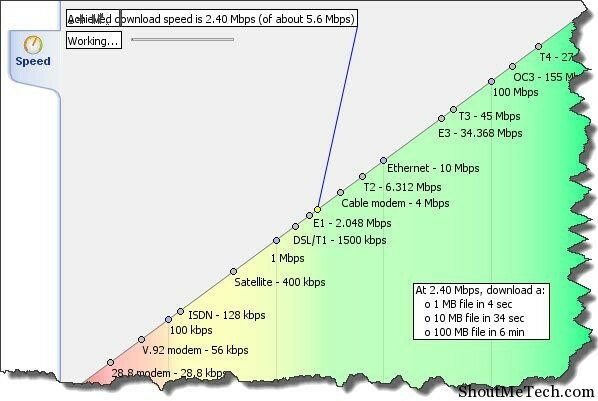 I have been using Broadband Internet connection from long but the problem with my service provider is they are not consistent with speed. Many times, I check my internet speed to confirm if I’m receiving allocated internet speed or not. To make your work easier, I’m sharing list of 10 websites (free) which will let you run a speed test and check internet speed. Out of all, I use Speedtest.net most of the time. They also have an iPhone app which makes the testing internet speed on mobiles also easy. Before you run this test, make sure you close all active windows and your system is not downloading anything including Windows speed. Else you might not get the right speed and this will create issue for your customer service to diagnose the issue. There are many broadband companies, which offers free upgrade if you moving from an old broadband company, you might like to talk to your local broadband provider and use your social engineering skills, to get a faster broadband connection next time but at a cheap price. I’m not listing websites in order of any thing. 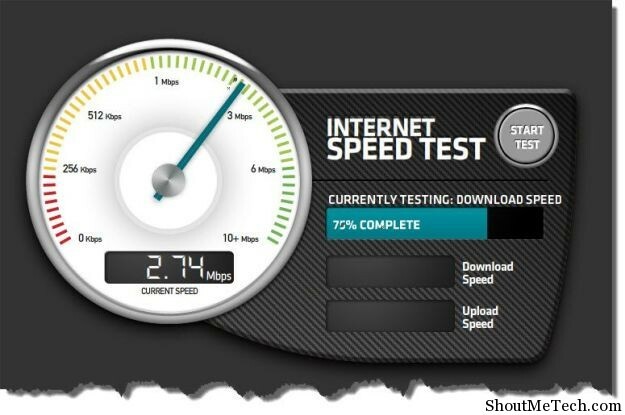 These are those websites which I often use and speedtest.net is my favorite among all. Though, other sites are also worth a look. This is one website, which I mentioned at the top. 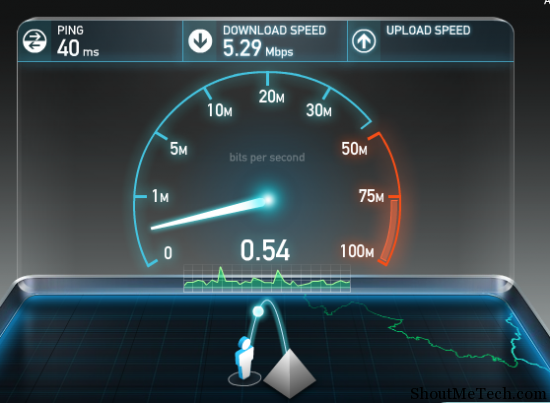 Speedtest.net is one of my favorite website here. I love the interface and in a digital map, you can select closest server for running the test. It also checks for Powerboost, which is being used by many broadband companies to give a boost while downloading. Easy to remember domain name, and nice interface. <Link> They also have an iPhone app to check your iPhone internet speed, which you can download from here. SpeakEasy : Option to choose from the different server list to get accurate result. CNET Bansdwidth meter :The CNET Bandwidth Meter speed is one of the fastest and reliable method to check your internet speed. 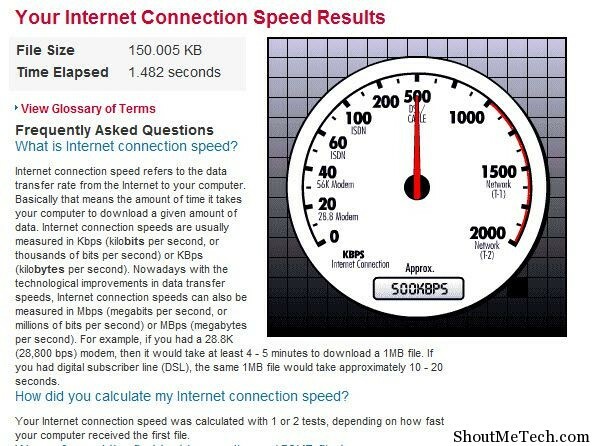 Do let is know which website are you using to check internet speed on your system? 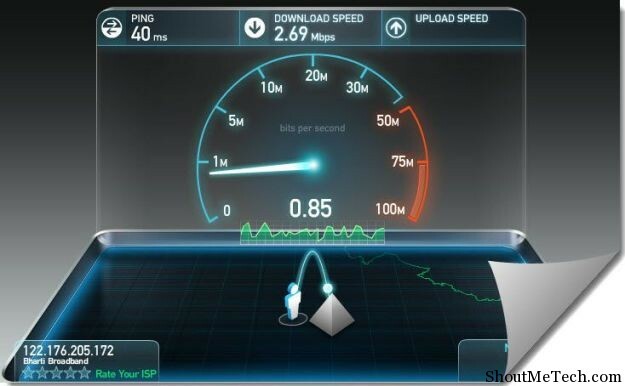 Also let us know which broadband service provider are you using and how much speed they are offering to you?